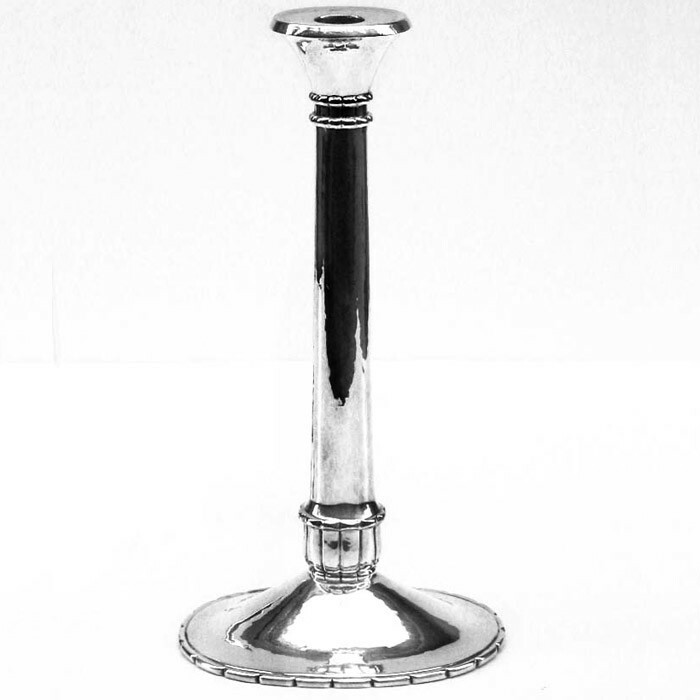 A fine pair of Art Deco candlesticks Designed and crafted by Dirk Van Erp. Silver plated metal. Incised signature: DIRKVANERP, handwrought, San Francisco with windmill logo.